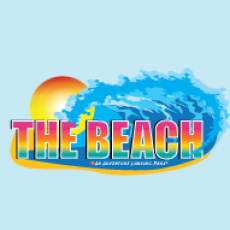 here are so many rides, attractions, and events to enjoy at The Beach! Take fun to new heights as you soar high above the wave pool on our ZIP LINE! Check out the kids' play areas like Big Creek Beach or enjoy a refreshing cocktail and live music on one of our ever-popular Reggae Sunday afternoons. And of course, there's the heated wave pool, refurbished slides and attractions, swimming lessons, group rates, fabulous birthday party packages, an indoor arcade, and so much more! We also have cabanas to make it easier to relax and enjoy a day at The Beach.